Mobiles are great stimula for children, especially newborns, here goes my first tutorial ever, I will improve, I SWEEEEAR!! 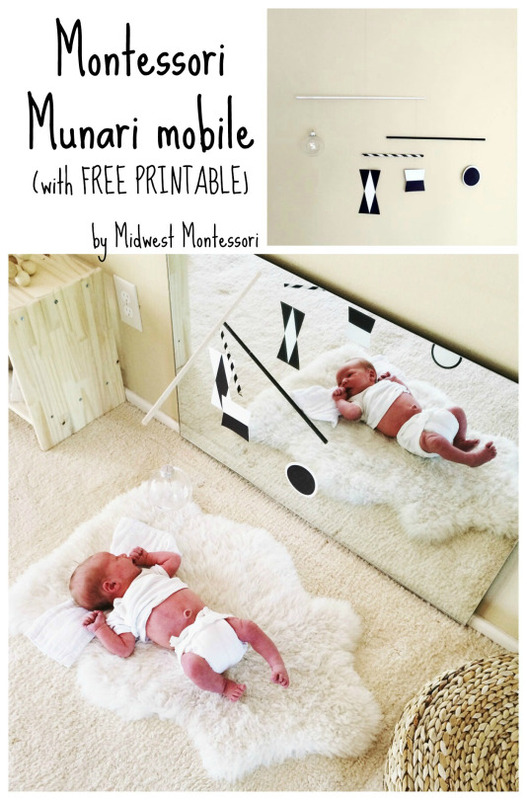 The Munari mobile is black and white and provides the greatest contrast suitable for the infant’s developing vision. Additionally, it provides the infant the opportunity to do his first ‘work’ up to the 6th week or when you notice it is no longer keeping your baby’s attention like it used to. The Munari Mobile is presented during this stage when babies do not distinguish colours and can only see approximately 30cm/12 inches in front of him or her. I suggest placing this mobile parallel to the floor where the baby would be lying either face-up or down; both positions stimulate different movements like head, neck, back or arms while vision is the main sense stimulated. Midwest Montessori was my inspiration for creating this mobile! Midwest Montessori has a great PDF that you can download, print, cut, paste and laminate as I did. This made the process less complicated and more enjoyable. The Original Munari Mobile has a transparent plastic ball that I could not find in any store here in Porto (Update: Found it at Tiger, thanks to @Gobabyblog suggestion) and 3 wooden dowels to balance the objects; instead, I created my own version with only one dowel and no plastic ball. Hope you enjoy doing it as much as I did. Cut the shapes and laminate each of them, cut again around the border, leaving 3mm. margin approx. (see picture below) 3.- Open a little hole on the top of each shape with a pin and pass the nylon through it and then tie a knot. 4.- Paint the wooden dowel black and white or only white if you are going to use the black masking tape. 5.- Use the nylon to tie the shape to the dowel, one in each end and one in the middle. 6.- Once the objects are balanced, proceed to hang the final nylon on each end of the dowel for hanging purposes. Finished Munari Mobile! Now, I just need a newborn! In the next DIY Montessori Inspired Mobiles, I will introduce the Octahedron Mobile. Stay tuned! wow, thank you very much for these Montessori mobile diy !